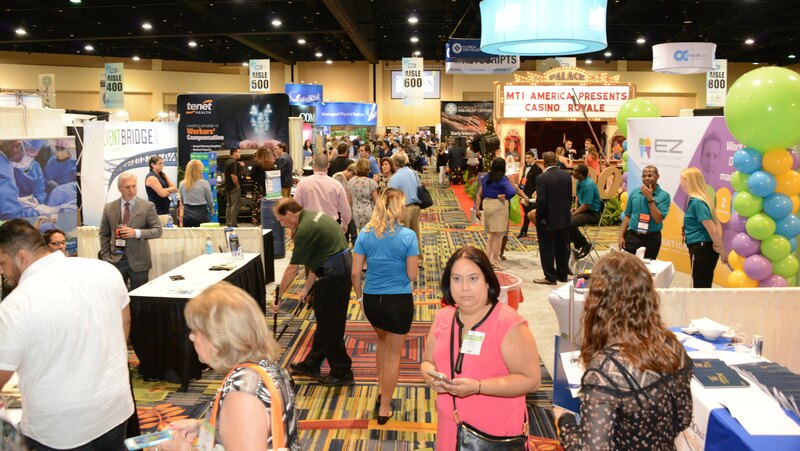 The Workers’ Compensation Institute (WCI) will hold its 73rd Annual Conference & Expo on August 19-22, 2018, at the Orlando World Center Marriott in Orlando, Florida. The conference will focus on bringing together stakeholders in the pursuit of gaining a better understanding of the issues of common concern regarding workers’ compensation. With an abundance of attendees including upper-level executives to end-users of products and services, the WCI’s Workers’ Compensation Educational Conference will allow for enrichment through keynote speakers general and breakout sessions, and roundtables. “How Pain Becomes Chronic: Using Modern Neuroscience And Cognitive Behavioral Therapy To Inform Pain Recovery” by Geralyn Datz, Licensed Clinical Health Psychologist at Southern Behavioral Medicine Associates, PLLC and David Hanscom, Orthopedic Surgeon at Swedish Neuroscience Specialists. “New Innovations in Treating the Injured Knee: Sub-Chondroplasty to Stem Cell” by Brian Reiter, MD at Atlantis Orthopaedics. “Return to Work Success Stories” by Sherri George; SkyWest Airlines’ Senior Manager of Workers’ Compensation Christine Lawson,Willis Towers Watson Vice President of Claims, Risk Control, and Claim Advocacy Practice, and Sedgwick CMS Vice President of Managed Care Client Services Tracey Radford. Financial editor of NBC’s Today show and host of the podcast HerMoney, Jean Chatzky will partner with the Alliance of Women in Workers’ Compensation to host an empowering keynote session. Analyst on the Emmy-Award winning ESPN College GameDay segment and former head coach of the Louisville Cardinals and Indiana Hoosiers, Lee Corso will speak on behalf of WCI and provide his insight on workers’ compensation. Join Amramp on-site in the Exhibit Hall to learn about the accessibility products that Amramp can provide to those with mobility concerns following a work-related accident. Don’t miss out on the long list of unique breakout sessions, prominent keynote speakers and engaging conversations with other professionals. Amramp will be exhibiting top-notch accessibility products at the Workers' Compensation Institute's 2017 educational conference. The annual WCI conference always features organizations that have been recognized as leaders within the field. The nationally acclaimed annual WCI conference continues to be the premier meeting for the study of workers’ compensation, workplace safety and health, and related issues. According to the National Safety Council, a worker is injured every 7 seconds. That's 540 injuries per hour. A survey of injured workers conducted by the Gilmore Group says, "More than half of respondents (57%) said they did not have a workplace safety program or initiatives program in place at the time of their injury." This year's conference theme is "30 years of change," and will highlight then and now photos of the conference. The 30th annual E. Earle Zehmer National Golf Tournament: A primary purpose of this competition is toenhance workers’ compensation as a major part of the educational curriculum of participating law schools. Amramp is honored to have been asked back once again to showcase durable equipment that for home health, mobility, and safety. The Amramp accessibility experts look forward to heading to sunny Florida and hope to see you there! Wheelchair manufacturer and installer Amramp offers innovative accessibility products, including the ADA-compliant, patented modular ramp system. On-site estimates are free, and installation is generally within days, often within 24 hours.